Worried about a friend partner or family member? Supporting someone experiencing difficulties with anxiety and depression or drugs and/or alcohol can be a challenging time for friends, family and partners. 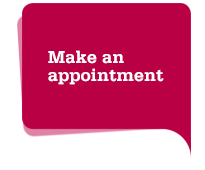 If you are worried about someone you can bring them to the service for joint advice and support. We also offer a facilitated mutual aid group which provides a safe space for parents, carers and significant others of those who may be in treatment. Here you can talk about your experiences, share information, get support and information, develop coping strategies and meet like minded others. This group is every Tuesday 10.00 to 11.00am on a drop in basis at Surbiton Health Centre. Adfam is a national organisation that supports families affected by drugs and alcohol. They can put you in touch with family support groups in your local area. London Friend supports the health and mental wellbeing of the LGBT community, their friends and partners in and around London and can offer counselling for drug and alcohol problems. Al-Anon Family Groups Meetings – for families and friends of alcoholics.